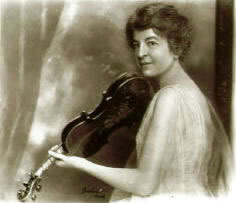 Maud Powell tucked her violin under her chin and touched with its quivering strings almost every octave in the unuttered language of the human heart. Take care of yourself . . . but don't forget to take care of your instrument. It will reward you for your pains. Treat it like a tender human being, and invite its soul -- and your own.